The retro house that will save you energy costs? Sounds like an echo from a fantasy, but with Half Price Insulation’s retro house(Existing houses) ceiling install and removal services you can realize this fantasy. We take your love for your retro-styled house into consideration and bring you world-class retro house ceiling insulation installation and removal services. Let us take care of energy saving for you while you enjoy the dream world of style and design. Ceiling insulation retro houses sounds like a messy idea. With Half Price Insulation’s retro house ceiling insulation installation services, all the mess associated with this idea is immediately swept away. At Half Price Insulation, we are leading industry experts who love your retro possession as much as you do and for that matter, we make no compromise on delivering top-notch retro house ceiling installation services. Forget the trouble of having to pay lump sums on energy bills just because some companies failed to insulate your retro house properly. You can count on Half Price Insulation to deliver you world-class retro house ceiling installation services featuring industry-standard retro house ceiling insulation material. How many retro house owners you know have ceiling insulation installed? Probably, only a few. Because of the complicated process and risks associated with retro house ceiling installation, many people entirely forswear the idea of retro house ceiling insulation. Doing so can cost you a lot in the long run. With such an important investment as that of buying a retro house, it is crucial to take necessary insulation measure for the protection of the house. Half Price Insulation brings the most affordable, simple and highly safe retro house ceiling insulation installation services. We are a team of adept professionals who know the dos and don’ts of retro house ceiling installation and removal. Be the trendsetter in a world full of negligence by availing our retro house ceiling installation services. One of the major reasons as to why you should get retro house ceiling insulation is to reduce the cost of energy bills. A retro house with gaps in its ceiling is a perfect outlet for heat conduction. It means that no matter how much effect your house’s heating and cooling system it, the energy loss is unavoidable because of ceiling gaps. 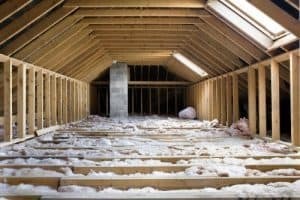 To avoid overuse of heating and cooling systems of your retro house and to save lump sums on energy bills, the best way is to avail Half Price Insulation’s retro house ceiling insulation services. Who doesn’t want to live in a cozy place? No one. To cater the coziness cravings of retro house owners Half Price Insulation’s retro house ceiling insulation is a perfect solution. Our retro house ceiling insulation is made from top-quality insulation material which prevents the loss of heat in winters and the influx of heat during summers. With Half Price Insulation’s retro house ceiling insulation services, there is no longer any worry of residing in a too hot or too cold retro house. Our unique retro house ceiling insulation materials work efficiently to maintain fair levels of coziness inside your stylish retro house. Looking for high-quality yet affordable retro houses ceiling insulation material? Half Price Insulation is the leading seller of retro house ceiling insulation. We feature glass wool insulation, fiberglass insulation, polyester insulation, thermal insulation, acoustic insulation and fire insulation to cater to a variety of consumer preferences. The R-value or R-rating of an insulation material directly affects the extent of insulation of the material. It means that higher the R-value, higher will be the resistance to heat loss or gain. The R-value depends upon the thickness of the insulation material. At Half Price Insulation, we bring the high-quality insulation materials with the highest R values to ensure 100% protection against heat loss or entry.